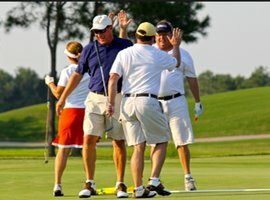 Over 40 Years of Golf Outing and Tournament Experience! 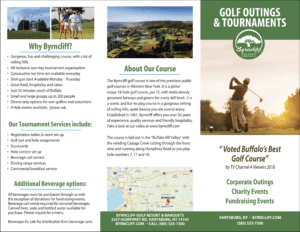 Byrncliff Golf Resort & Banquets is well known for providing the best surroundings for your golf outing. Our courteous and friendly staff is ready to help you arrange a fun golf day for your group of friends, co workers, employees, etc. 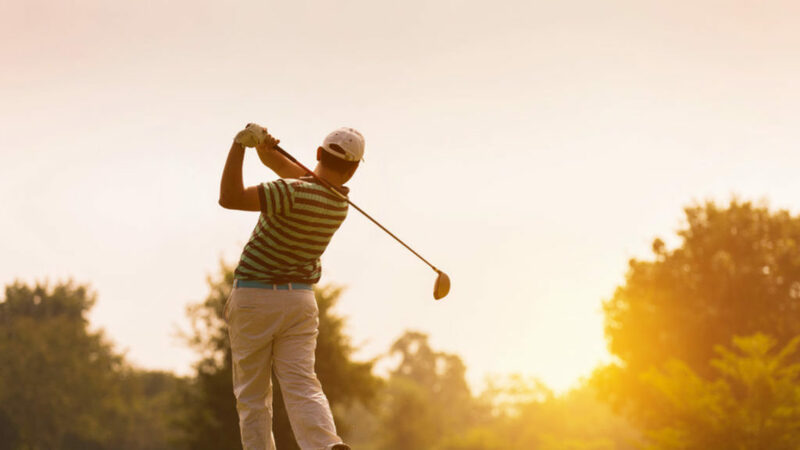 Our pro shop can assist you in arranging special contests like "Longest Drive" and "Closest to the Pin" on the course as well as placing sponsor signs on each tee. Let us do the work and you enjoy your day! Choose from one the four group golf outing packages listed below.